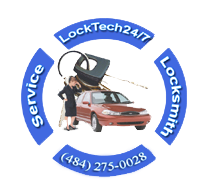 Welcome to LockTech24/7 locksmith services Allentown PA.
LockTech24/7 is a mobile locksmith company, serving customers in Allentown, and the Lehigh Valley. We offer locksmith services such as emergency, automotive, residential, and commercial locksmith services. And we provide emergency and by schedule locksmith services. When we say emergency locksmith, we means that we’re open 24 hour around the clock, all year long. In the background, we stock a wide range of inventory and security hardware. Our locksmith services are your one-stop mobile locksmith shop. With us, you get fast response, skilled technicians, and low prices. Call us to solve your lock and key problem as soon as possible because we are only one phone call away, and we are ready to help. LockTech24/7 Locksmith Service Allentown PA can also give you an expert advice on the security of your premises. The professional locksmiths at LockTech24/7 assisting customers all over the Lehigh Valley, as well as the surrounding areas. We specialize in all kind of emergency locksmith, whether car lockout or business lockout. Also, is you need to replace or program your car key, we can do it for you, and in front of you, too. With many solutions to fit your budget, we stands behind every security hardware we install in your property. We support our products and labor with a 90 days guarantee. This is the commitment that made us the preferred choice of customers from Allentown to Easton. For years, we provide security solutions for home owners and real estate agencies, as well as big corporations. Big insurance companies and roadside assistance, such as AAA and Geico, refer us to their customers almost every day. You can rely on our professionals to give you the piece of mind and the quality service that will exceed any expectations. We can assist you in the maintenance of keys, as well as locks and security applications. We are happy to answer any questions you have via phone or e-mail. Please contact us for more information. You’re welcome to call us whenever you need an emergency locksmith, key made, or lock repair and change. We can be there in a hurry to get you into your car or home fast as we can. Our quality service and fast response in emergencies has been the key to our customers’ satisfaction. Getting yourself lock out of your home is very frustrating, especially when it is raining cold night, or you’re late to an important meeting. It happens to almost everyone at one time or another. We get ourselves in a situation where we need emergency locksmith service, here and there. Never let a lock out situation to ruin your day! You don’t need to wait for lockout to look for a locksmith. You can insert our phone number to your mobile phone for fast service. Unexpected lockout events occur all the time! We lock ourselves out of our car all the time. Sometimes, the key break-off just as we’re putting it in the lock. In those cases, it’s important to have the number of a trustworthy locksmith company in your phone. We’re not only fast at getting to you, but we’re also fast at getting the job done. And with a reasonable price. If you find yourself in the middle of emergency locksmith situation, please call us at (484) 275-0028. Do you need automotive locksmith in Allentown, Pennsylvania? Are you lock yourself out of your car, but don’t know who to approach as a locksmith in Allentown? You never expect to lock yourself out, but it happens to all of us, one day or another. We offer full variety of automotive locksmith solution to our community in Allentown, PA. If you ever find that you’ve lost the key to your vehicle, or the ignition don’t turn, simply call us because you have come to the right place! That’s why it’s great to have LockTech24/7, a dependable and reliable locksmith company in Allentown. We are here to help you to solve your locksmith needs. We are local, available 24 hours, and ready to assist you at any time, and any day. No need to call all the locksmiths in the book of Allentown. If you need automotive locksmith, you can count on us..
LockTech24/7 Automotive Locksmith Services in Allentown can cut your auto key at your location, and on the spot. As soon as you call (484) 275-0028, we’ll be on the way to help. 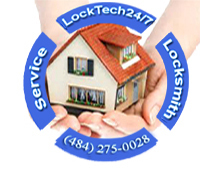 LockTech24/7 Locksmith technicians are fully trained to provide all kind of residential locksmith services. We provide residential locksmith services such as home lock out, lock change or repair, lock re-key, and more. In addition to our basic locksmith services, we also offer garage door remote programming, garage door opener repair or replace, and CCTV camera system installation. We know what it takes to provide efficient and quality residential locksmith services. Our locksmith technicians are on call 24/7, and can solve your problems in a quick and efficient manner. We are the best in what we do, locksmithing. We’re driving fully equipped working vans with all the security hardware to finish the job on the spot. We also have an advanced locksmith tools, and machines to help you solve any residential locksmith problem. Our Locksmiths provides a wide range of residential locksmith services. We will ensure the security of your home, and the safety of your family. Your most important thing in the world is your home, we have no doubt about that. We cover all your home security that need to make you feel safe. From a simple house lock out to standard door knob, or high security lock. LockTech24/7 mobile locksmith service has got you covered anywhere in the Lehigh Valley and the surrounding areas. Just give us a call when you need locksmith services or security solutions, and we’ll be there with you solving you residential locksmith requirements step by step. Please call now (484) 275-0028, and we’ll be on the way for help. 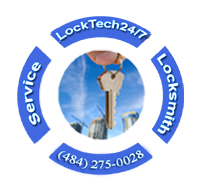 LockTech24/7 provides a wide range of commercial locksmith services for the security of our customers’ businesses. LockTech24/7 is Allentown’s top commercial company. Our specialty is in locksmith services like lock outs, master-keys, commercial locks re-key, and lock replacement. We are also taking care of push bar repair or installation, electric strike system installation, and more, and help to secure your business in the most suitable way. 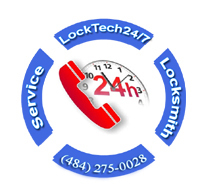 LockTech24/7 offers a variety of products to meet your specific requirements at affordable prices. We also offer our commercial customers a routine maintenance service to the security hardware that already installed in their doors. Our commercial locksmiths in Allentown are ready to assist you with the best equipment that exists in the locksmith industry. Our goal is to provide the best service available in the commercial field with our reliable, efficient, and affordable service. We strive for customer satisfaction, and our reputation based on that. Whether you have an issue as simple as an office lockout, or a serious problem with any of your security hardware. We can be on site in a matter of short time solving the problem on the spot. We, at LockTech24/7 Locksmith will be happy to meet you at your business and to discuss different security options available. It doesn’t matter whether a big or small job, every problem will receive the same personal attention by our professionals. Please call now (484) 275-0028, and we’ll be on the way to help.